Buy New Panasonic DMW-BCF10E Lithium-Ion Battery Pack for DMC-FS6, DMC-FS7, DMC-FS15, DMC-FS25, DMC-FS62, DMC-FX40, DMC-FT1, DMC-FX550 Malaysia At FotoZZoom! 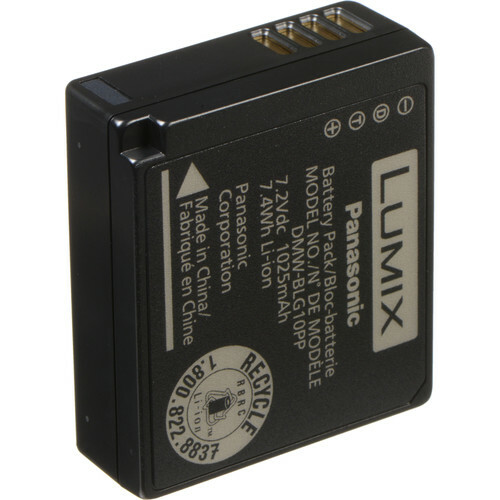 Spare genuine Panasonic lithium ion rechargeable battery pack suitable for the Panasonic Lumix DMC-FS6, DMC-FS7, DMC-FS15, DMC-FS25, DMC-FS62, DMC-FX40, DMC-FT1 and DMC-FX550 digital cameras. 3.6 volt 940 mAh capacity. Lithium ion technology so there is no memory effect allowing you to recharge the battery without having to discharge it first.